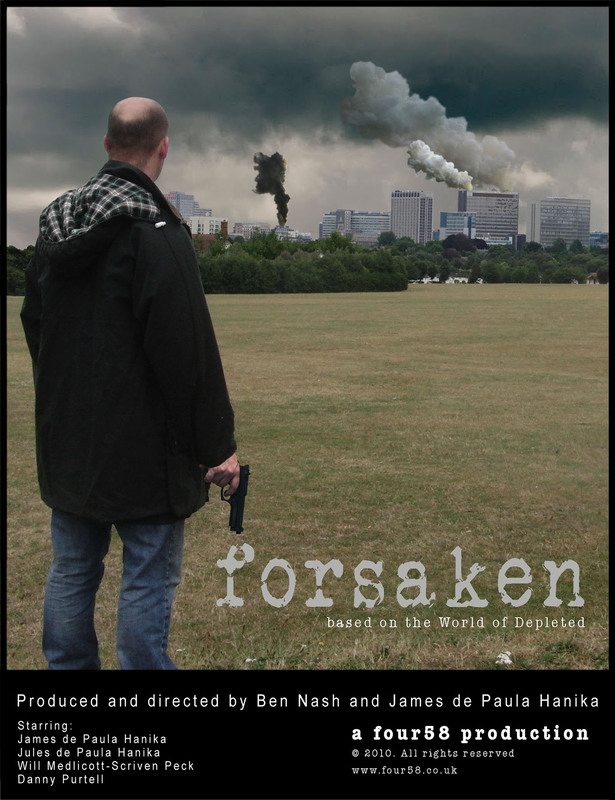 Forsaken, the new film from Ben Nash & James de Paula Hanika (of Four58 Productions) set in the World of Depleted, debuted today in the World of Depleted: Contributors section (IAWBM Archive) . The film, set 352 days after the Fall in England, follows a man who’s lost everything on a road trip to try and regain part of what he’s lost. Additionally, an article about the film debuted this month in MicroFilmmaker Magazine, covering the pre-production process of releasing Forsaken and what it was like to be a part of the World of Depleted communal franchise. A series of in-depth video interviews are also planned between MFM editor Jeremy Hanke and the filmmakers.